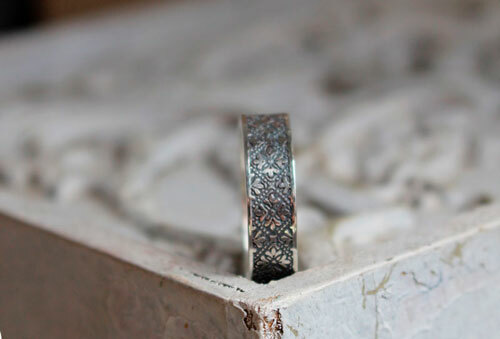 I named this ring Esme. 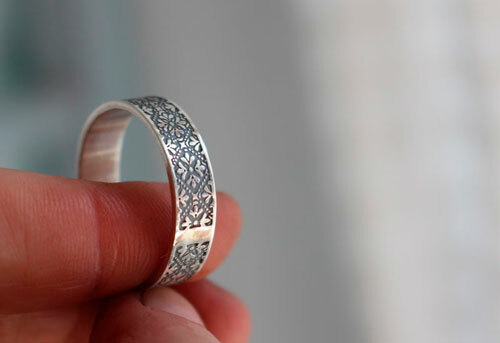 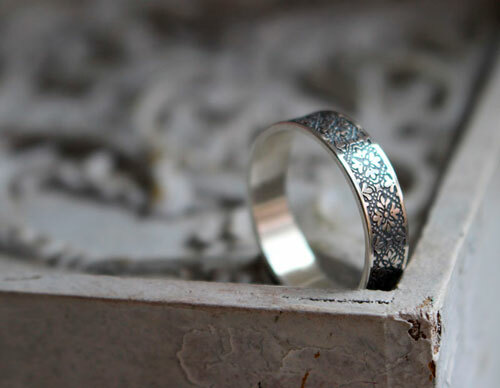 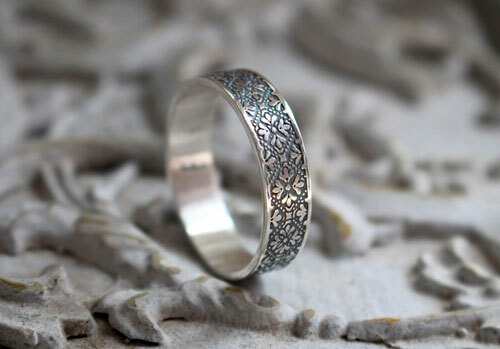 This name comes from Latin and means « the one who is loved » which will be the perfect gift as a promise ring, engagement ring or as a wedding ring. 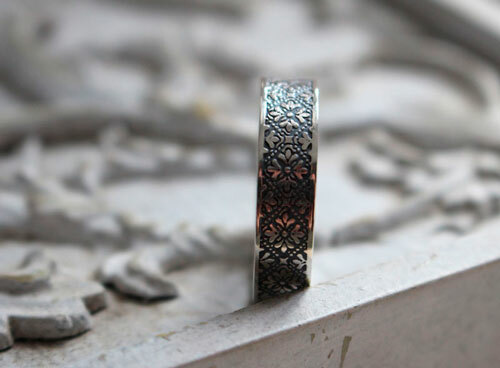 This ring shows a flower pattern which will seduce you for sure if you like botanical and romantic details. 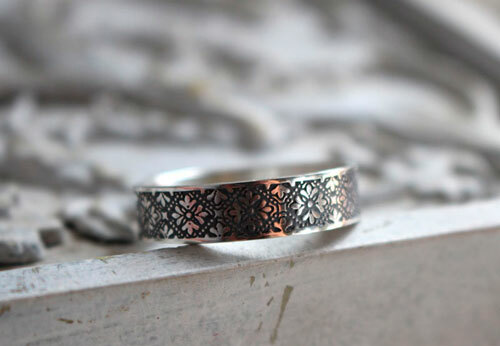 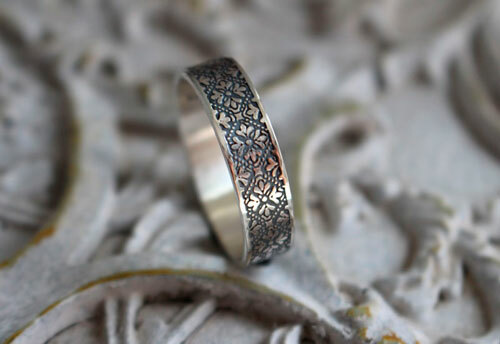 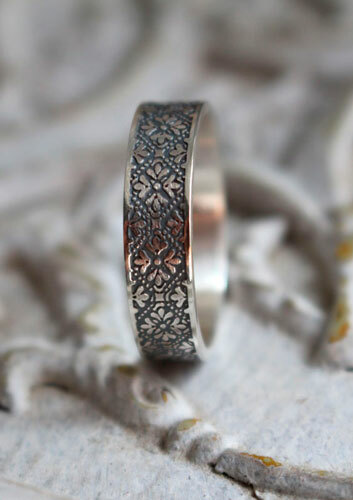 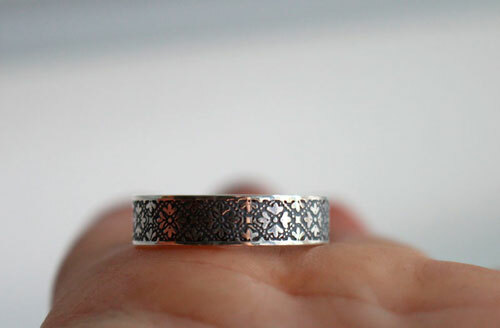 Tag: ring, botanical, engraving, engraved, etched, flower, sterling silver, frieze, floral, wedding, engagement ring, baptism, wedding anniversary, medieval, romantic, Middle Ages, meander.